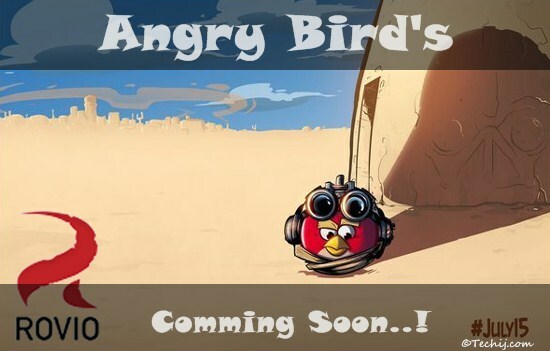 Tomorrow on 15th July 2013, Rovio is gonna release a new game. This announcement was published on Rovio's official blog. In which they made a request to their fans to be attentive on Monday. Just couple of days ago a new fun and adventurous game Tiny Thief is also released under the banner of Roviostars. And Angry Bird Start Wars / HD is also free on iTunes for a week. As from image we can guess that may be it would be the part of the Star Wars series. But as hint officials stated that the new game will feature our biggest lineup (rosters) of characters ever. Seriously, it's huge!. With some different power controls and etc.. So, guys lets do wait a bit more and stay tuned. Soon we will surely share a review on new app.